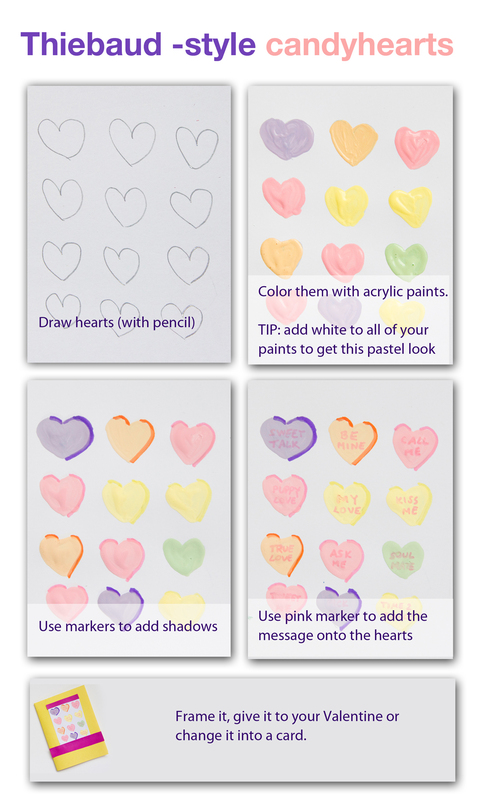 Valentine and candy-hearts are pretty inseparable… almost as much as Thiebaud and paintings of cakes and candy. It got me thinking that maybe there is a match to be made… isn’t there? Enjoy. This entry was posted in Art Projects and tagged art, ArTree, heart, kids, project, thiebaud, valenine. Bookmark the permalink.